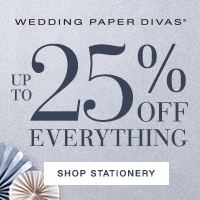 Gathering the tulle with my sewing machine was the key! 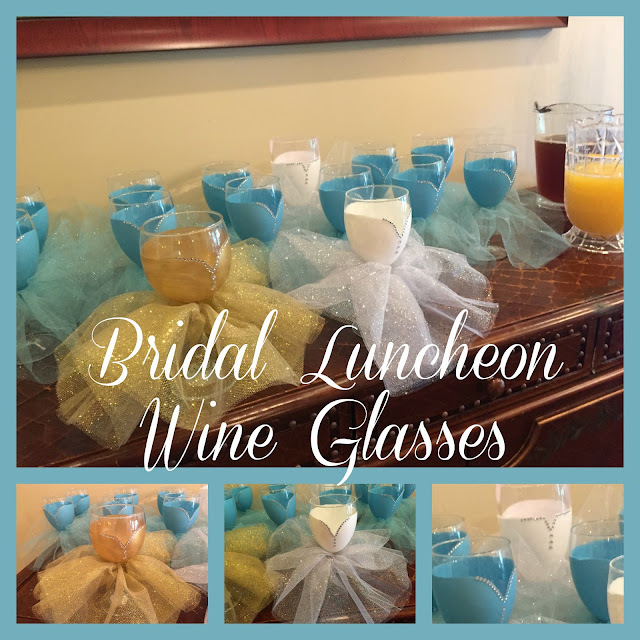 Used a sewing machine to gather the tulle for bridal luncheon wine glasses. One set of instructions I found featured gathering the tulle by hand. It would have taken me weeks to gather all that tulle for 13 glasses!!! I ran a small loose seam close to the edge of the tulle. And, then pulled one thread in order to gather the tulle. If you sew, this is how you gather a ruffle, etc. Tulle gathered on the sewing machine for bridal luncheon wine glasses. I purchased the wine glasses from the Dollar Tree. I used glass paints I purchased from Hobby Lobby. Be sure to use alchol to clean the glasses. Clean the glasses with alcohol first. I painted three coats on each glass. I wanted the paint to be really thick and not transparent. Painted bridal shower wine glasses. I turned the glass upside down, added hot glue to the base of the cup, used the extra string to tie the ruffled tulle around the glass and secured it with the glue. 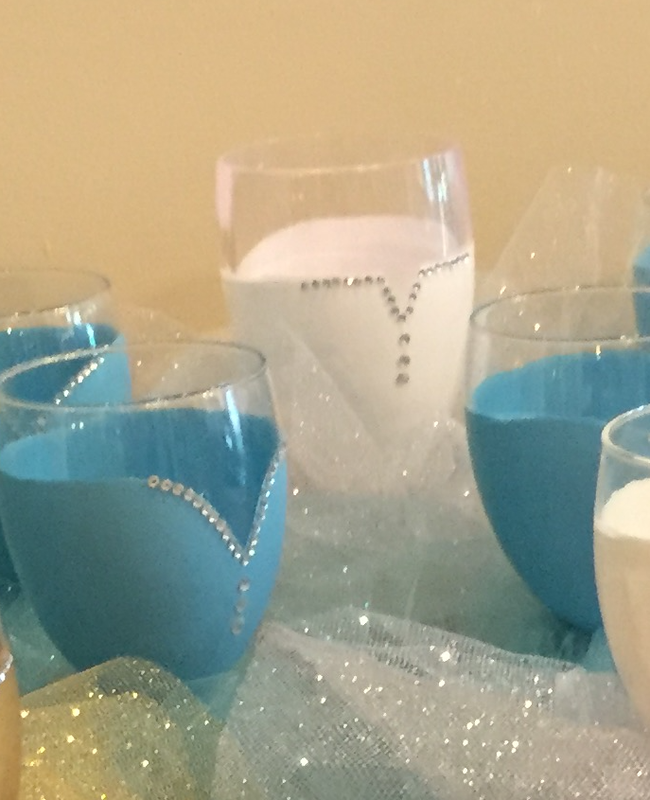 Add glue to bridal shower wine glasses. Tied gathered tulle around bottom of glass and secure with glue. Secured the ruffled tulle with hot glue after tying the tulle around the glass. We found these beautiful rhinestones with adhesive to finish off the glasses. These took some patience! But, well worth the time and effort! The mother of the bride was wearing a gold dress to the wedding. I decided my best friend needed a special glass of her own! I found a very nice plastic wine glass at the grocery store. I painted it with a modest design and decorated it like the bride's glass. I hope you found these instructions helpful!